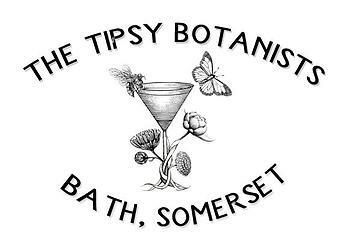 I've never been one to turn down a cocktail and when I heard about The Tipsy Botanists, a new and exciting company setting up in my home-town of Bath, I had to share with you. The Tipsy Botanists are a unique pop-up bar which specialise in creating "wild cocktails" using beautiful fresh, local ingredients that have been sourced from the rich Somerset countryside. They combine these with edible flowers and rare and unique flavourings. Run by Gracie and Georgina, who met whilst working behind the same bar and bonded over a shared passion, The Tipsy Botanists craft many of their own syrups and also forage for some of their gorgeous ingredients, whilst sourcing others from local farmers markets so you can really trust them when they say that they believe in the beautiful. Each season has been considered in their sample menus, using the best ingredients available at any given time of year, including peaches and blackberries in the summer and sloes and damsons during the winter. 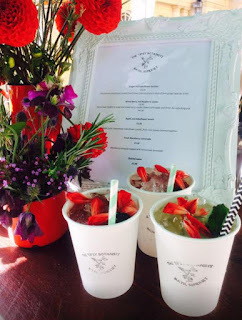 The Tipsy Botanists offer a beautiful pop-up bar that is perfect for weddings and events, where they work closely with their clients to build a bespoke menu, to guarantee that the client and guests are always 100% satisfied with the options and give every event that special touch. 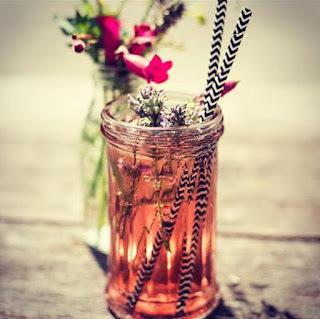 Also available are special Tipsy Masterclasses, which are run by Gracie and Georgina. These are a fun and informative two hour session where the group can learn to make a range of different cocktails, complete with non-alcoholic varieties which ensure everyone can join in. On arrival, each guest is treated to a seasonal Bellini before getting the chance to get involved and create two cocktails each. What I find particularly lovely, and very true to the image of The Tipsy Botanists, is the "Infusion Class" that you can add on to the Tipsy Masterclass, where each guest also gets to infuse a bottle of sugar syrup to take home as a keepsake from the day, which seems a particularly nice touch for hen parties or birthday celebrations.